A family dynasty is another way we can remember our early settlers. Such is the case with Honorah Doyle who migrated to Australia from Glengariff, a coastal dairy town in Co Cork, Ireland. It was her second husband, a Mr Mullins, who accompanied her to Australia on the ship “Ramsay” in 1875. They settled in Oxley and then moved up to King’s Scrub in the Dayboro Valley where they established the family dairy farm in 1876. 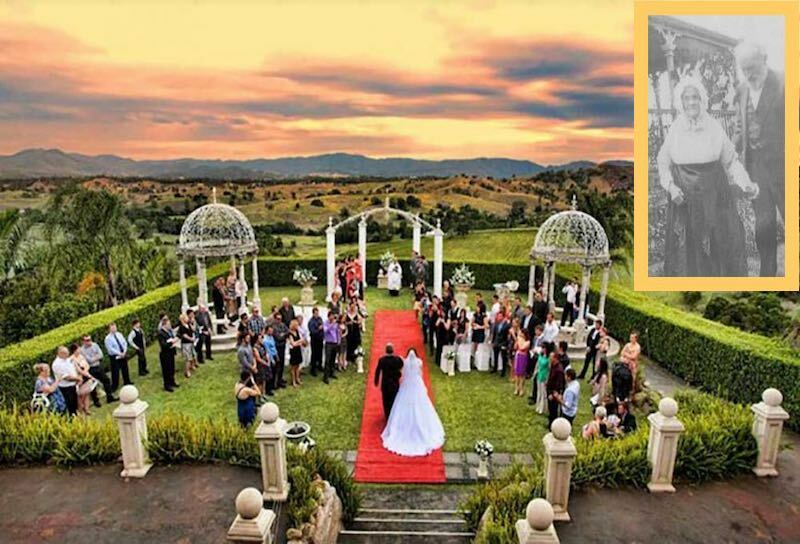 It remained as a dairy farm for over 100 years, before becoming a vineyard and winery in 1999, and evolving once more into the award winning Function venue it is today hosting events and weddings from all over the world. Honorah, herself, was to live to be 114 and even at the age of 95 years she was still milking a herd of 40 cows by hand. Glengariff Historic Estate is still owned and operated by the sixth generation of her descendants.